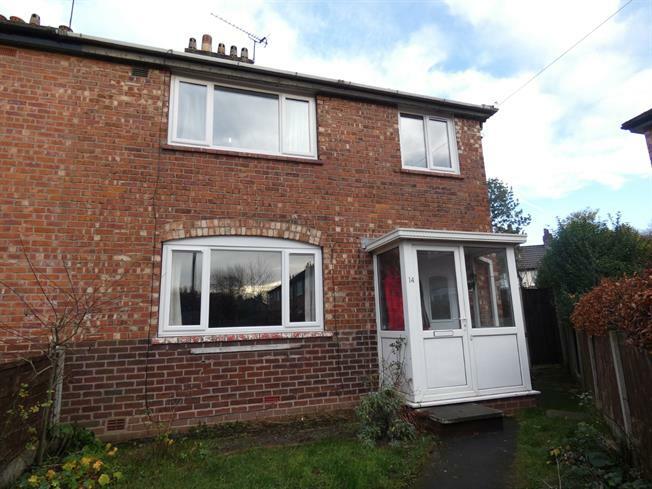 3 Bedroom Semi Detached House For Sale in Manchester for Offers Over £200,000. This three bedroom semi-detached property has been modernised throughout and offers excellent family living accommodation. An internal inspection comes highly recommended and will reveal; entrance porch, entrance hallway, a spacious lounge, WC, storage cupboard and a modern fitted kitchen diner. Upstairs there are three well proportioned bedrooms and a lovely modern family bathroom. Externally the property has a front, side and rear garden and sits on a corner plot. UPVC front double glazed door. Double glazed uPVC window. Carpeted flooring, wall lights. UPVC front double glazed door. Double glazed uPVC window with patterned glass. Double radiator, laminate and carpeted flooring, ceiling light. Double glazed uPVC window. Double radiator, original floorboards, ceiling light. UPVC back double glazed door. Tiled flooring, spotlights. Double glazed uPVC window with patterned glass. Tiled flooring, ceiling light. Low level WC, wall-mounted sink. Double glazed uPVC window. Radiator, tiled flooring, downlights. Roll top work surface, fitted units, single sink, freestanding, gas oven, gas hob, overhead extractor. Double bedroom; double glazed uPVC window. Double radiator, carpeted flooring, ceiling light. Single bedroom; double glazed uPVC window. Double radiator, carpeted flooring, ceiling light. Double glazed uPVC window. Heated towel rail, tiled flooring, part tiled walls, spotlights. Low level WC, panelled bath, shower over bath, vanity unit, extractor fan. Double glazed uPVC window with patterned glass. Carpeted flooring.